How Can Facebook Keep the Elderly Socially Active? One of the hardest parts of growing older is the knowledge that everyone is growing apart. People move, have children, and become busy. However, Facebook makes it possible for seniors to stay engaged in their children’s and grandchildren’s lives, essentially watching them grow through videos and pictures. In some cases, this may be the only way to have these opportunities. Groups have become a great way to make new friends on Facebook. There are thousands of groups covering many different topics, from interests to cities of residence. Your loved one can join groups and make new friends, find new interests, or even discover opportunities to socialize outside of the home. Though technology such as Facebook can help your loved one stay socially connected, nothing beats interacting with someone in person. If your loved one needs regular face-to-face social stimulation, turn to Home Care Assistance. 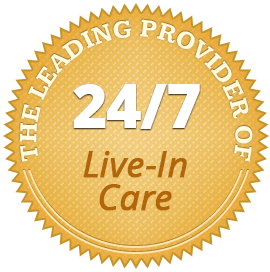 Our live-in and hourly caregivers in Guelph are available 24/7 for companionship, and they can also assist with many important daily tasks. To learn more about how our senior care services can keep your loved one socially active and promote his or her emotional and mental wellbeing, call (519) 954-2111 today. 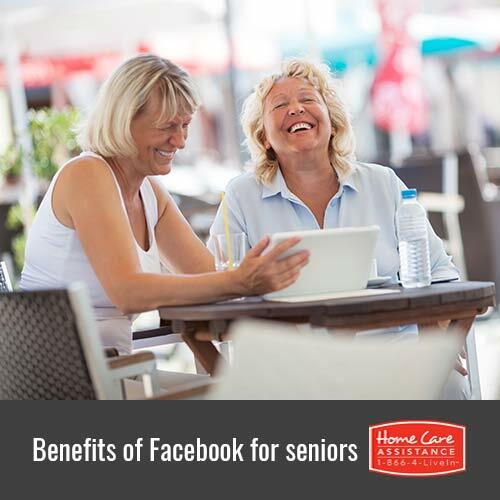 Facebook offers seniors a variety of ways to stay socially active, connected to family, and feel engaged in the outside world. If your senior loved one has few opportunities for social engagement and has yet to create an account, Guelph elderly care experts suggest he or she give social media a try. Here a just a few ways using Facebook can give your loved one more opportunities for socialization. Facebook is a community of people from around the globe. Simply by joining, this can create a sense of belonging for seniors who live alone or feel isolated. Sending and receiving friend requests, joining groups, and playing games can bring a sense of happiness and comradeship your loved one might be lacking in daily life. One of the best reasons for your loved one to join Facebook is to find out how old friends are doing and track down those he or she may have lost contact with. Imagine how it would feel to stumble across a friend from school who you haven’t heard from in fifty years. This is now possible with social media. Your loved one has the chance to rekindle old friendships or even connect with new friends he or she has never met before.